It’s time for “Ask Your Board!” Thank you all for participating and we hope you enjoy! My question or request is information on how a fan can contribute (post) to the Facebook pages. I am sure you have a screening process. Thank you for always giving an opportunity for the fans to be part of this site. Marie: I think you mean posting on the website. We are not on Facebook. If you have something you would like to share with everyone we would be happy to review it for posting. Just email your article and/or pictures to us at ilvoloflightcrw@outlook.com We love to post other Crew Member’s stories! Kelly: Yes; we love to hear from you guys! When thinking about Facebook, we realize we do not have the needed resources to adequately keep up a Facebook page, and we like the creativity the website/blog medium allows us. Linda: Yes, we love hearing from all the members, it keeps us in touch with what you want to read on this site and to be able to answer any questions you have! Please send anything to the address Marie provided above. To all of the Board!! I just wondered if you live close to each other and do you get to meet often?, if not how do you manage to organize this site so well?, I enjoy it so much, but I’m sure it takes a lot of hard work and I really appreciate it. Marie: Annie, First, thank you! We live all over the U.S. Florida, Maryland, Missouri, Ohio, and California! All of us, except Linda, met for the first time at concerts this summer. You can imagine how cool that was! I had the pleasure of meeting Linda last winter in Florida. We communicate through emails. LOT’S OF EMAILS! We also occasionally Skype. It is hard work, but as we say, it’s a labor of love. Kelly: I think it works so well because we try to keep our common goal in mind no matter what. Michele: I wish we could figure out a way to support Il Volo with a full time effort – then we might open an office in Miami and all work together! Imagine what we could accomplish! Linda: It struck us funny too when we saw all the various states we’re from. As Marie says we do LOTS of e-mails and skyping. It can be hard sometimes but we try to come together as a team for the good of the site. Elaine: Oh, way too many emails! We definitely need to have a central office but I prefer making it in California, lol. I would like to know how the Flight Crew is able to keep up with Il Volo? How do you find out these things such as their schedules , personal lives, etc.? Marie: Hey Irene. Mainly we search the internet. There are some particular sites we haunt. We also have a few people who email us with hot news. Kelly: That’s pretty much it. LiJoy is a huge help in helping me gather information for the Professionals as she has several people that help her as well (Athina being one of them). We have our affiliates also; they sometimes have a different piece of news or take on things. It’s mostly a lot of research, and I think we’re developing a decent “gut feeling” about when we need to be paying particular attention. Michele: Let’s not forget about our contacts in Italy and other countries. Over the life of this blog we have had participation and information from wonderfully informed Flight Crew members. I have personally received tips, which I truly appreciate, from our MN or mlla and our Maria Pia as well as from others. Following Piero, Ignazio and Gianluca, their families, friends and associates on Twitter and other social media leads to a world of information! Linda: I spend a fair amount of time reading their tweets and Instagrams. I checkout the other sites and check the net in general for any new news. Our affiliates are helpful too. 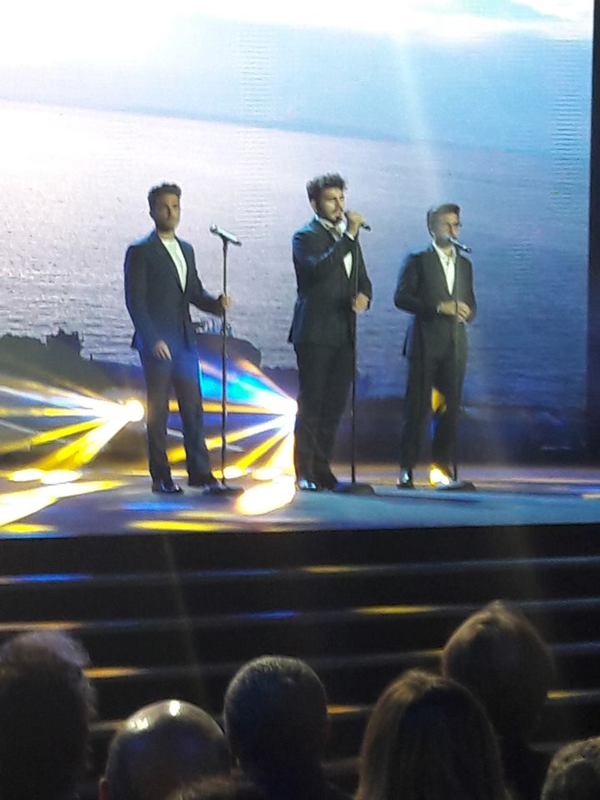 Which one Il Volo song is the one song you go to to banish your blues, energize and get you going? Marie: Gosh Pirate, for me just thinking about them gets me going. If I had to choose a song that energizes me I’d have to go with El Mondo. Kelly: How do I pick just one? I think, like Marie, Il Mondo holds a soft spot in my heart because it was the first song I ever heard them sing and the song that hooked me from the start. But, I Bring You to My Senses is always my favorite. I always say that this or that new one is my favorite, but I always come back to it, and it just makes me melt. As far as energy goes, it doesn’t matter what happened at work or anything else. When I’m here, I can forget everything because I want to do my best for them. Michele: I really can’t pick just one. I love them all, especially those sung in Italian. BUT – I am going to say – We Are Love, both in English and Spanish AND Splendida — I could go on but you only asked for 1 and I gave you 3 already. Linda: Itis hard to pin down one, but mine would have to be IL Mondo, that’s what Ignazio was singing when I was channel surfing and saw them for the first time on “Il Volo Takes Flight”. I love Little Things and frankly, everything they sing! Elaine: Any one of their song will work for me! At night before bedtime I always listen to my own Gianluca’s YouTube playlist that includes all of his solos. It works wonders for having sweet dreams! What was your passion before Il Volo? Marie: Music passion for me was both Rock ‘N Roll and Show Tunes. Yeah, came out of left field for Il Volo. Who could resist? Kelly: Musically, I’ve always been a classical girl. I used to play the cello when I was young and fell in love with that genre. I still prefer classical/instrumental music over the current Top 40, though I can enjoy those artists and their music too. Il Volo just brought that home and reinforced it for me. Linda: I never had, before Il Volo, a real passion. I like 50’s rock and roll, Peter, Paul and Mary and loved John Denver. Elaine: No one in particular. I am always a big fan of the Beatles, Sir Paul, Bee Gees, and Bocelli. Recently I attended Sir Paul’s farewell concert to Candlestick Park and I am amazed by his performance. At his age he is simply out of the world and legendary! Do you know if the boys will be performing in New York City this year? Marie: Sorry Pamela, Haven’t a clue. There’s some doubt they will be coming back to the states at all the remainder of the year. Michele: We are all waiting for a concert tour/appearance schedule to be announced – it sure would be nice! Linda: I’m waiting too, can’t come fast enough! Elaine: Our guys are now with Sony so there may be new arrangements. We just need to be patient as I am sure they will be well taken care of by the management. Any chance of our Guys appearing in Las Vegas this fall? Marie: Same answer as above Allene. However, I’m praying I’m wrong! Kelly: Yes; sorry, ladies. There have been rumors both ways, but we have no idea. Michele: To our knowledge, no official announcement has been made about any future Il Volo appearances in the U.S.
Is there an ongoing fee to run a website such as this one? If so…is it possible to donate to that cost as this site is priceless and worth a million dollars for what it gives to all of us!! You are all so dedicated and it would be the least we could do to help out. Marie: Oh Jane thank you so much! It’s priceless to me too! There is a small fee. We are happy to handle this ourselves. At least for now. We are discussing several things however, including paid ads and maybe accepting donations ONLY for things like flowers. We can’t expect Myron to continue this task. Especially since he won’t let us help. Those things are only on the drawing board for now. Kelly: Thank you, Jane! We so appreciate that offer and hearing how much the site means to you. It is a labor of love. Michele: Jane you are so thoughtful. Thank you so much. As Marie mentioned , we have considered accepting advertisements which might allow us to go into this as full time jobs one day – which I would surely love to have more time to devote to our effort. 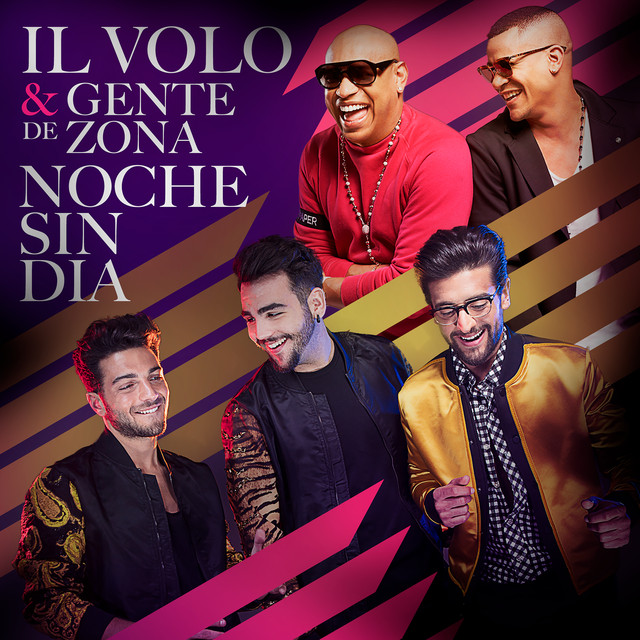 I could see this going towards an online magazine devoted solely to Il Volo and related issues, events, and topics. Linda: Thank you Jane, as you can see from the other comments, it’s an on going discussion. Elaine: Thanks for your thought, Jane! You and other Crew’s continue reading and commenting are the best support to our site! Hello Joan – I do not really understand your question. Thank you Loretta and everyone for being so supportive of Il Volo and your Board. Thank you for the answer to my question. Enjoy the Board’s information for which all of us fans are hungry. I hope we get some news on Friday’s concert and some fast videos. I checked some videos of the orchestra conducted by Senior Diego Basso and wonder how Il Volo will work with him. Thank you Il Volo flight crew board members for all you do and the information you give us. I happen to be very close to one of the board members who works on this blog. She and one other that I know of work on this blog full time!!!! Put in long days and nights. I to believe they should be compensated in some way. For all board members that work on this site, you should get free concert tickets or something special should be down for you when “the boys” are in the states. Do they have any idea how many fans you have generated for them? Thanks again Il Volo Flight Crew for bringing us these beautiful voices and their lives on this blog. It was with a very forlorn hope that I asked about Las Vegas. I’ll just have to keep on hoping and keeping my fingers crossed! I just this afternoon, returned from Las Vegas. I was with my sister and we I was commenting how great it would be if in the very near future, IL VOLO would perform in Vegas. We would definitely attend. They were there in 2012 with Barbra Streisand. They were not yet as well known as they are today. That concert today, would definitely be a SELL OUT. I hope this will be a reality. Myron, you are so awesome. Thank you for all you do on our behalf. Just returned from Vegas this afternoon. Got there on Monday pm. Stayed for 4 days at the Paris with my sister and of course, when I’m around, IL VOLO always become the center of the conversation. Some day, I hope to meet you and the rest of the flight crew members. I’m from the Bay Area. (S.F. HAYWARD). Am willing to help also. FIRST we have to get them to Vegas! Yes, you can count me in. too, Myron. It’s a great idean Myron, count me in.